Did a migration of a school the other week, afterwards it seems the “little darlings” had discovered that they could (from the logon screen) access the “Ease of access” settings and enable “High Contrast”, which is obviously hilarious, but annoying for their teachers. Ease of Access, is designed as part of the accessibility options, and as such has no GPO settings, (I’m assuming because a policy that excludes disabled people would not be the best of things in a modern society). However when these options start to harm productivity we need a mechanism to enable and disable them. (At least then we can enable them for only the people that need them). 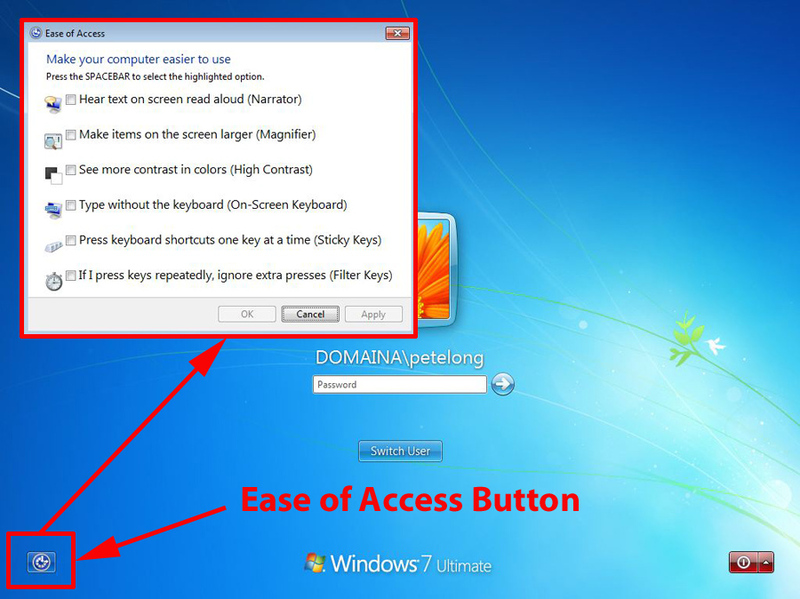 Anyway, it took me ages to get it turned off, heres how to do it. 3. Click OK > Add in the Everyone group > Deny the following, Read and Execute, List Folder Contents, and Read > Apply > Yes > “Replace existing permissions….” > OK.
4. Then either reboot the clients, wait a couple of hours, or manually run “gpupdate /force” on them.